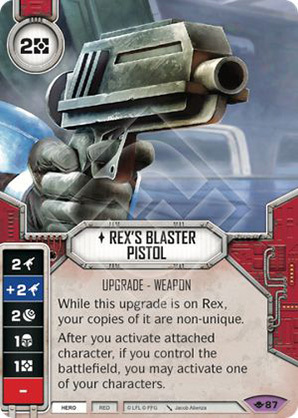 While this upgrade is on Rex, your copies of it are non-unique. After you activate attached character, if you control the battlefield, you may activate one of your characters. Way of the Force #87.